6 Week Marriage Class meeting Thursdays through May 2, 6:00 - 7:30 p.m. Discover the secret to a genuinely happy marriage! Drawing on extensive research and their years as marriage counselors, Drs. 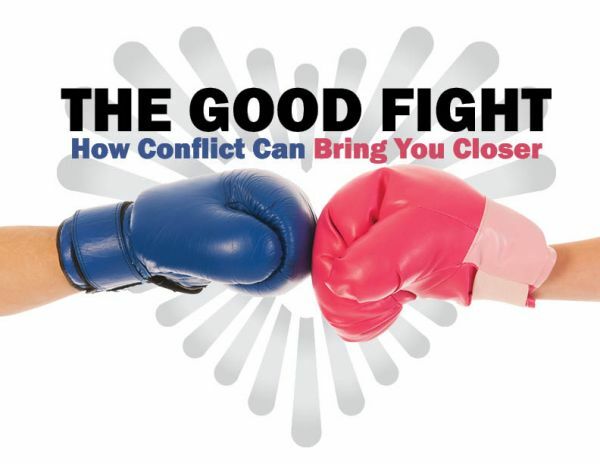 Les and Leslie Parrott uncover common misbeliefs about marital conflict, showing couples how a good fight actually enriches a relationship, making it stronger. Men and women will learn what pitfalls to avoid, how to use conflict for good, and how to diffuse anger and hurt feelings. Filled with practical advice that couples can implement quickly and easily, The Good Fight helps husbands and wives build a relationship where harmony outweighs tension and peace finds a home. The Good Fight book by Drs. Les and Leslie Parrott is available on Amazon for $12.74 last time we looked, and also on Kindle for $3.99. This class is led by Dean & Susan Little, Marc & Michelle V. and Aaron & Kathy Gilkey. Questions? Email them at [email protected]. Our Marriage ALIVE! ministry offers classes, groups and fun events to help and encourage marriages and families.